Everyone knows that voice – the man, the legend, Barry White. How many of us really know the story of his life, though? Well, prepare to be educated and entertained by this documentary. Using performance clips, interview segments and more White's story is told from his arrests in his teens to his hits through to the tragic circumstances surrounding his final days. 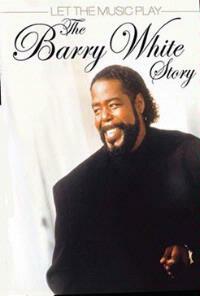 You will know more about Barry White by the time this is through than you ever can imagine. This seventy minute documentary is top notch and accompanied by some bonus performance clips. It's a must have for White fans and those who enjoy the genre in general. It also comes recommended for anyone wanting to get more information about a legend who represented a large chunk of popular culture. Let the music play, indeed.